How can I activate spam protection on my mailbox? To set up your spam filtering firstly set the spam destination, this can either be set to reject spam, deliver to a junk folder or deliver it to an entirely new mailbox for spam. You can prepend the subject line of any spam message with a message or alert if you wish. 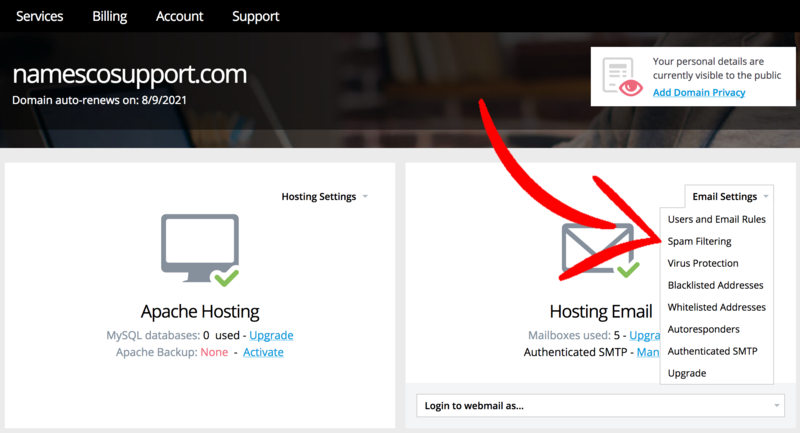 This section allows you to set it up for a specific mailbox or apply the settings for all mailboxes on the domain, you can also allow or prohibit users from setting up custom settings for their mailbox. You can set up custom settings for different users, they can do this by logging in using their username and password details or can be set by the site administrator for the domain simply by clicking on the relevant.